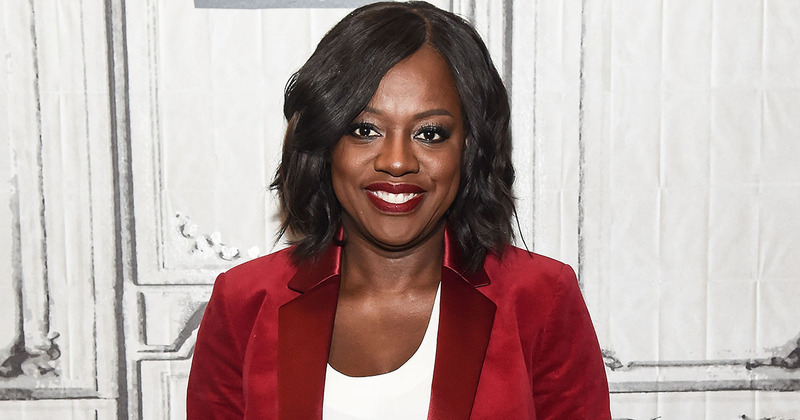 Following yesterday’s (January 24th) nomination announcement it was revealed that ultimate queen Viola Davis has made Oscar history as the only African American woman to be nominated for an Academy Award three times! The Oscar nominees for 2017 were revealed yesterday, with musical drama La La Land scooping the most nominations with 14 noms in total (matching Titanic). What’s more, Meryl Streep beat her own record with her 20th (!) nomination, and celebrated with a GIF (because, of course), while many actors were given their first recognition by the Academy, something we couldn’t be happier about (although #JusticeForAmyAdams who, it seems, is becoming the new Leonardo DiCaprio). However, one particular piece of news has made us so happy it’s unbelievable, and that’s the fact that Viola Davis has become the FIRST African American woman to nominated three times for an Academy Award! Davis is nominated for Best Supporting Actress for her incredible performance in Fences, which is also nominated for Best Picture, Best Adapted Screenplay, and Best Actor for Denzel Washington’s performance as Troy Maxson. The star previously picked up the Golden Globe for the performance, in which she gave an impassioned, inspiring, and emotional speech (something she’s now becoming known for). Viola Davis is no stranger to making history in the entertainment industry. Back in 2015, she became the first black woman EVER to win the Emmy for Outstanding Lead Actress in a Drama Series for her role as the troubled lawyer Annalise Keating in How to Get Away With Murder (she was also nominated again last year in the same category). Davis, who is a graduate of the prestigious arts college Juilliard, got her first Oscar nomination in 2008 for a short but powerful turn in Doubt, which also starred Meryl Streep, Amy Adams, and the late Philip Seymour Hoffman. She was later nominated for Best Actress for her role in The Help in 2011, however she lost out to Meryl Streep’s performance as Margret Thatcher in The Iron Lady. In a statement received by Entertainment Weekly, Davis gave her reaction for being nominated for her role in Fences. Denzel Washington, of course, directed and starred in the movie, which is an adaptation of August Wilson’s Pulitzer Prize winning play of the same name (Wilson also wrote the screenplay for the movie, but sadly passed away in 2005). Both Davis and Washington performed the play on Broadway together in 2010, with both winng Tony awards for their performances (if she wins then all Viola Davis needs next is a Grammy and then she’ll be an EGOT). What also makes this moment so historic, however, is that it’s the first time that three black women have been nominated in an acting category (joining Davis are Naomie Harris and Octavia Spencer, who are nominated for their roles in Moonlight and Hidden Figures respectively). That’s not all, as it’s also the first time that that three black women have EVER been distinct nominees in any category, and the first time that three black actors have been distinct nominees in any category! We seriously couldn’t be happier for Viola Davis, Naomie Harris, and Octavia Spencer, and truly wish them well on the night of the Academy Awards! The 89th Academy Awards will air on February 26th, 2017.